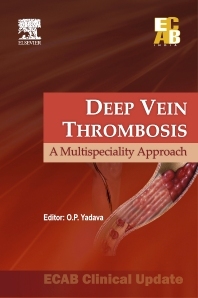 Venous thromboembolism is a common and potentially lethal disease. Patients who have pulmonary embolism are at especially high risk for death. Sudden death is often the first clinical manifestation. Only a reduction in the incidence of venous thromboembolism can reduce sudden death owing to pulmonary embolism and venous stasis syndrome owing to deep vein thrombosis. Improvement in the incidence of venous thromboembolism will require (i) better recognition of persons at risk, (ii) improved estimates of the magnitude of risk, (iii)avoidance of risk exposure when possible, (iv)more widespread use of safe and effective prophylaxis when risk is unavoidable, and (v) targeting of prophylaxis to those persons who will benefit most. Early and timely diagnosis and management of deep vein thrombosis and pulmonary embolism considerably reduces the subsequent morbidity and mortality.